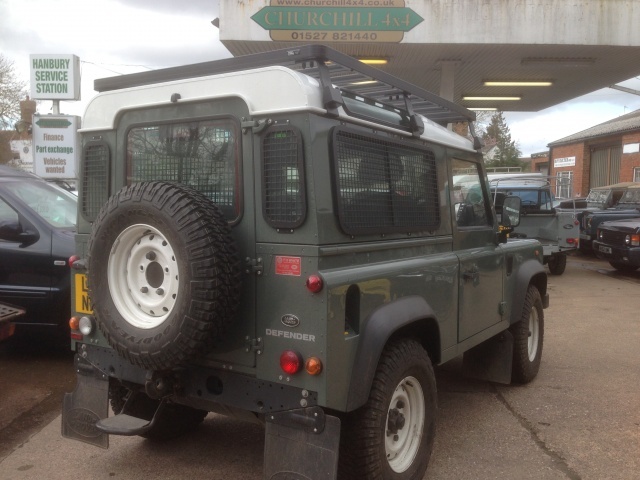 At Churchill Land Rover we also fit Land Rover accessories, Land Rover enhancements and Land Rover upgrades. With so many options available we are sure to be able to suggest the right option to suit your needs. 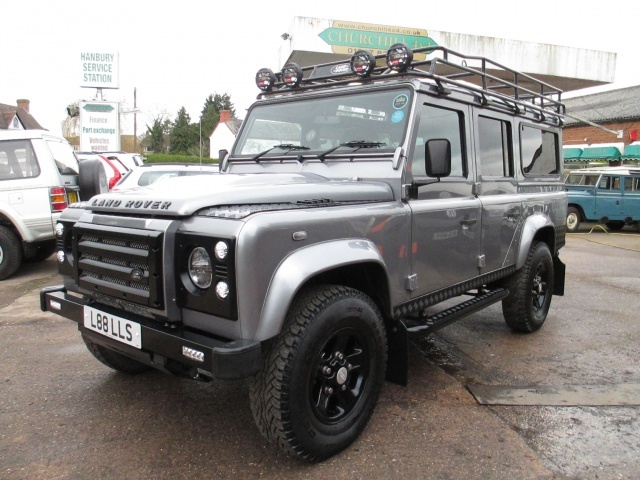 Here below is a stunning 2012 Defender 110 XS that we have fitted with many extras and upgrades. 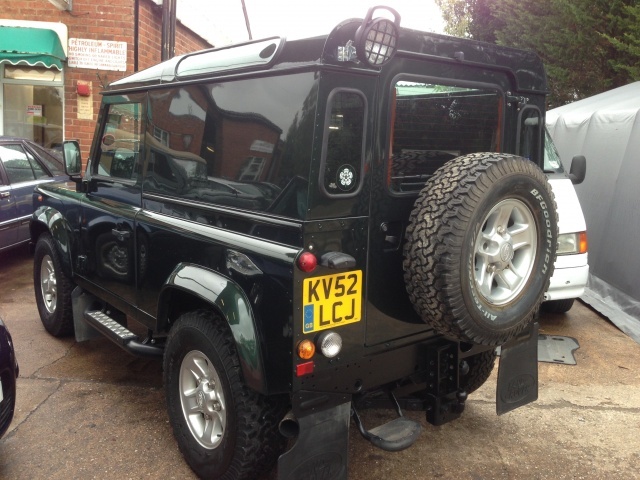 These include full length G4 roof rack with rear access ladder and 4 x Warn Spot lamps with wireless remote operation. KBS front grille and headlamp light surrounds plus wing vents. LED headlamps, LED daytime running lights in the bumper and full set of LED lights for indicators/stop/side lights. Black chequer plate to wing tops, side steps, sills and rear wing panels. Black powder coated alloy wheels. 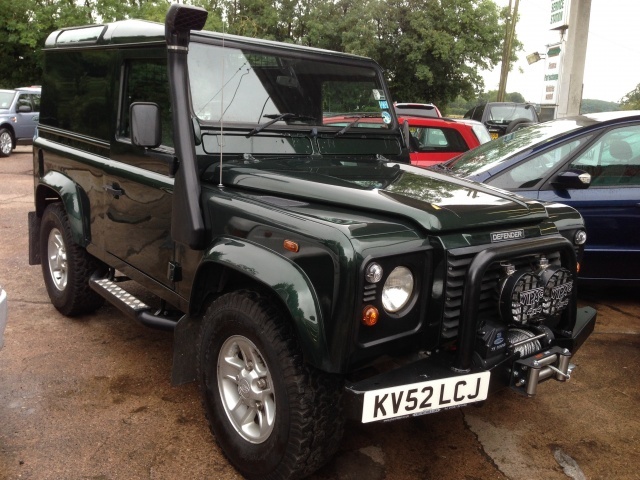 The end result is an individually styled Defender that is both practical and looks great. Below is a 2014 Defender 90 Station Wagon that we fitted with a full length lightweight aluminium roof rack and rear access ladder. Also rear side window and back door mesh guards. 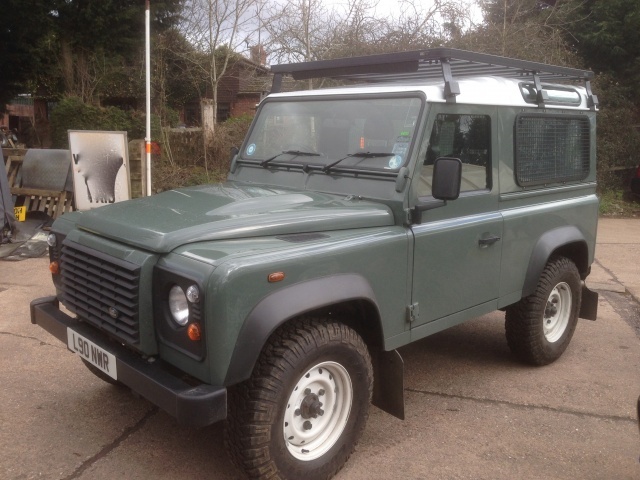 Below is a 2002 Defender 90 Td5 that we carried out a full re-spray on and also fitted a number of extras. These included front winch bumper and electric winch. A bar with 2 x spot lamps. Tubular side step bars with chequer plate insert. Raised air intake snorkel. Alloy wheels with BFGoodrich All terrain tyres. Rear work lamp.